1. Have your beaten organic eggs and flour in separate shallow dishes. 2. Heat cooking oil over medium heat in a pan. 3. 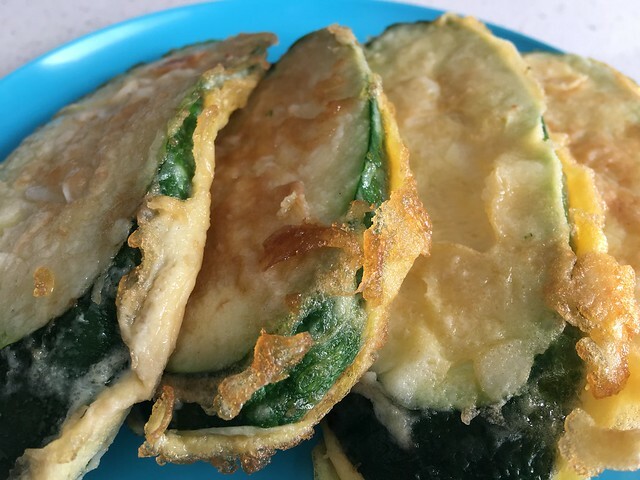 Lightly coat zucchini slices with flour, then immerse them fully in beaten egg, then transfer them directly to the pan. Sauté for approximately 3 to 4 minutes on each side, flipping only once - the goal is to have each side cook to a light golden brown. Enjoy these delicious Korean zucchini fritters with a dipping sauce made by mixing 1 teaspoon of sesame oil, 2 tablespoons of soy sauce, and 1 tablespoon of finely chopped green onions. These fritters are best served hot, and are wonderful on their own or as a side to any main course. Never knew that. Thanks for the heads up, Marni. Dr Ben Kim.. those Korean Zucchinis look delicious!